It’s been my first year working for my local natural food co-op’s produce department, and I've been slowly testing the waters to see how many of my favorite organic farmers I could bring into the store. This year I was able to bring in a lot of Frog’s Song Farm produce (I've sold their produce at markets for six summers now), including an assortment of their heirloom potatoes and fingerlings, fresh onions and shallots, cucumbers, spinach, salad greens, turnips, beets and more. 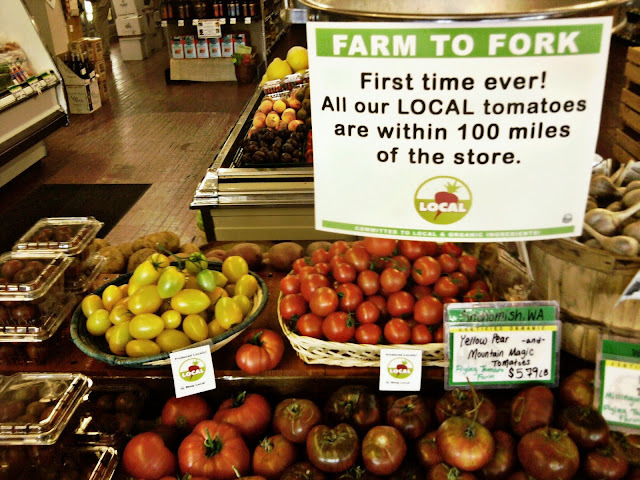 I've also recently set my foot down on bringing in non-local tomatoes as it’s prime tomato season in our area and I truly believe in the Co-op’s mission statement about supporting local producers. My coworkers and produce team have all encouraged me in my attempts to change a few things, so I’m very grateful for them. My co-op’s tomatoes are now all 100% Washington grown. Someone in the back even created a sign for me, declaring the exciting news of sporting all local tomatoes (I really appreciate that!). 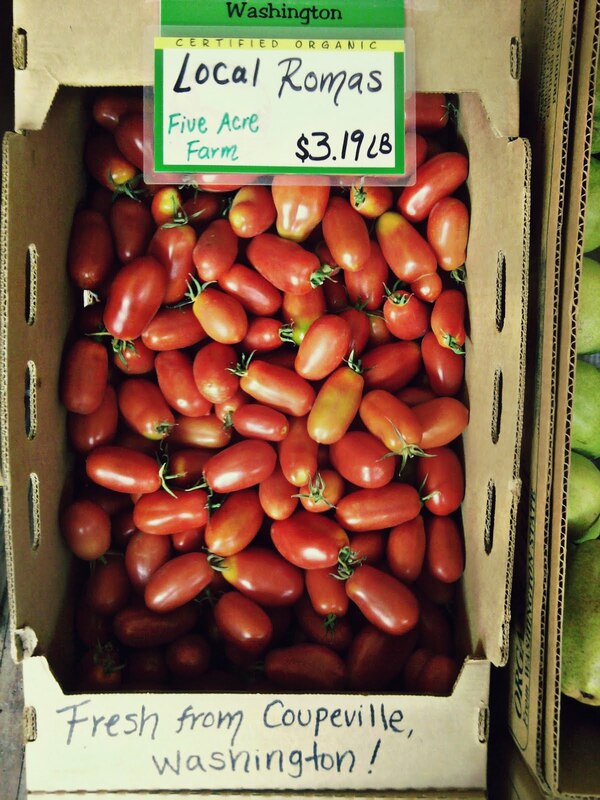 I brought in my parent’s Beefsteaks, Yellow Pear and Mountain Magic tomatoes (Flying Tomato Farm) and I've also brought in Tonnemaker’s romas. I’ve worked markets next to Tonnemakers for years. We also have colorful cherries, romas and red and yellow slicers coming from Five Acre Farm and Okanagon Producers and heirloom tomatoes from Millingwood. Go little Co-op! 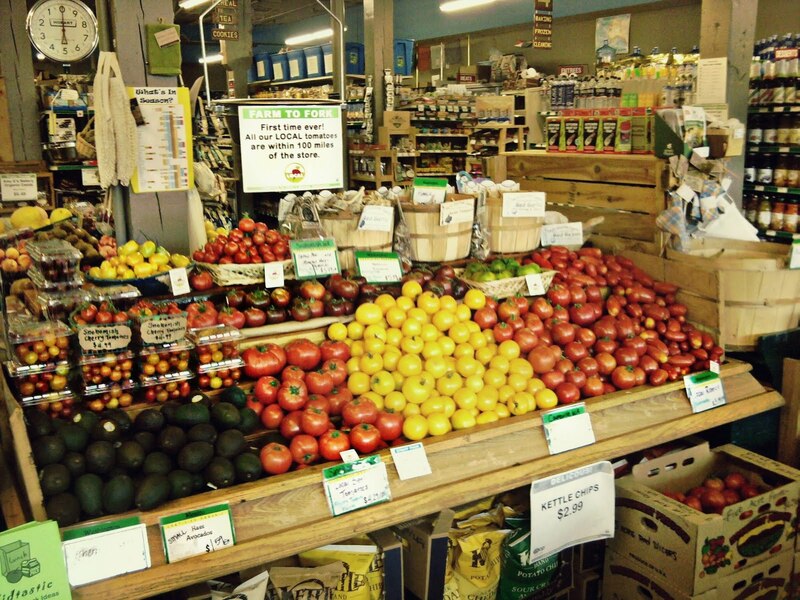 I wonder how many of the larger Co-ops or health food stores in our area can claim 100% local tomatoes in their produce section.